The new Logan MCV Stepway from Dacia will cost from £11,495 OTR, with first customer deliveries expected in June. 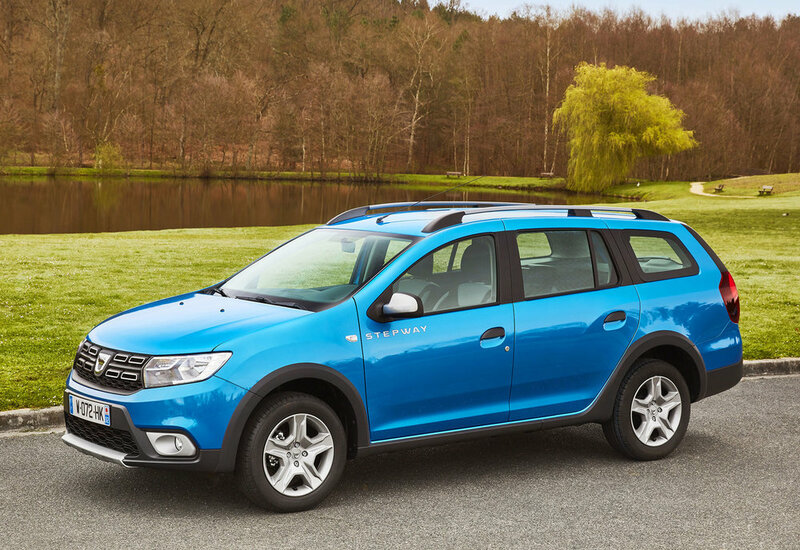 Revealed at the Geneva Motor Show in March, the £11,495 is for the petrol version of Dacia's rugged model, based on the recently revised Logan MCV. The fifth member to the UK range features a 'muscular style' with flared wheel arches, roof rails and a ground clearance of 174mm. It maintains the same boot space of 573-litres (VDA) and is available in Lauréate trim, offering a higher specification as standard. At the front, a two-tone bumper is joined by a satin-effect chrome skid plate, plus fog lights. 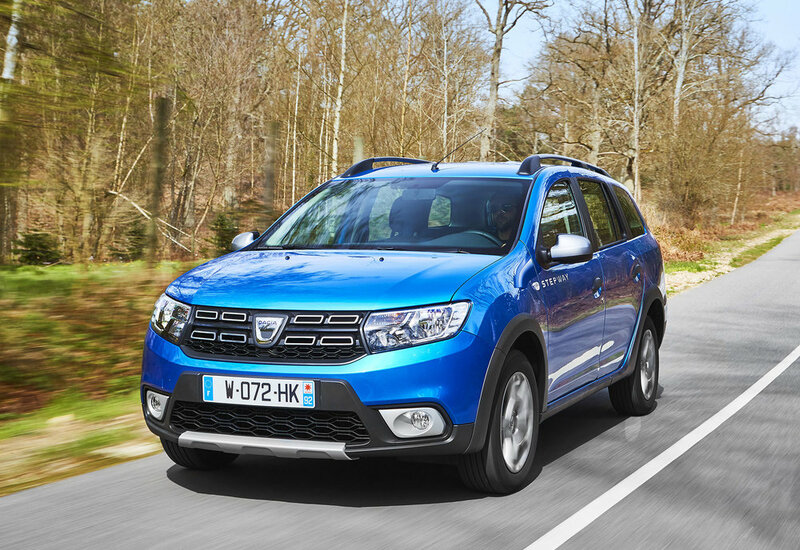 The model incorporates Dacia’s new lighting signature including LED Daytime Running Lights (DRL) in the form of four stacked rectangles. The grille mirrors the black elements of the two-tone bumper, with the chrome rectangles rounding off its style in much the same manner as the Duster. Dark Metal door mirror housings and Stepway decals on the front doors, along with Dark Metal longitudinal roof bars ‘further emphasise’ the model’s estate car lines. Available with a choice of nine colours from launch, new 16-inch Stepway Flexwheels are also included, which feature an economical system comprises of a wheel trim design that fits over a similarly slotted rim. 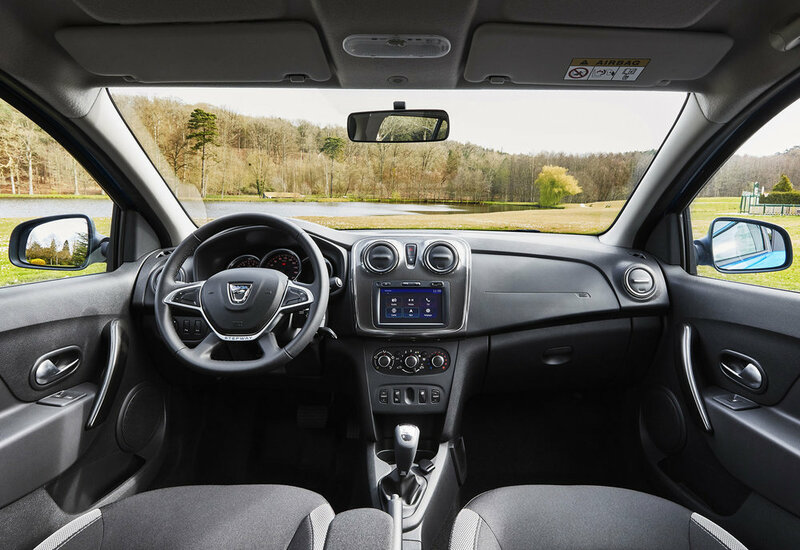 On the inside, the Estate car benefits from the same upgrades given to the rest of the Dacia range in late 2016 with satin-effect chrome finish for the air vent surrounds, trim strip and centre console fascia, while a new four-spoke steering wheel design has an exclusive Soft Feel finish and a ‘Stepway’ logo on the chrome surround. Heated and electrically adjustable door mirrors, are joined by rear parking sensors, height-adjustable driver’s seat and seven-inch touchscreen with MediaNav infotainment system which includes USB and AUX sockets, Bluetooth connectivity and satellite navigation with GB and Northern Ireland mapping. The New Logan MCV Stepway is available with a choice of two engines – the TCe 90 petrol – with CO2 as low as 115g/km and fuel economy of 55.4mpg (NEDC combined) – and the dCi 90 diesel – with CO2 as low as 100g/km fuel economy of up to 72.4mpg (NEDC combined). Both come with a five-speed manual transmission. The diesel variant cost £13,095 for the Lauréate dCi 90.